Sokoloff is a plant biologist at the Canadian Museum of Nature and has just returned from a three-week expedition charting the plants of several Arctic sites. 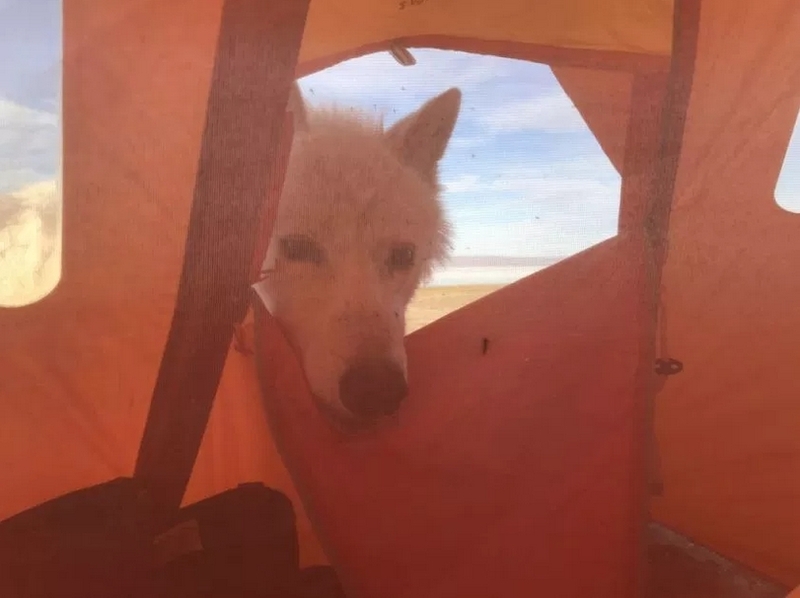 He was at Lake Hazen on Ellesmere Island when he woke up in the bright Arctic night and saw an Arctic wolf poking its head through his tent door. “Just its face (came in), thank God,” he said. 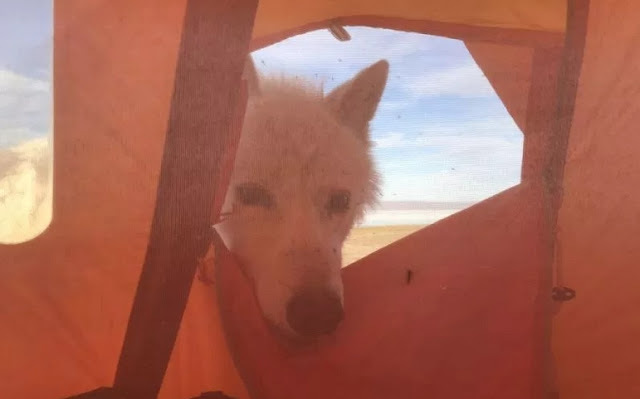 “I took a picture because that’s the first thing you think of when a wolf comes into your tent. I started yelling at it. It’s 1:30 in the morning, so I’m waking up the rest of the camp. “Troy (another biologist) hears this and he starts yelling at the wolf. And the wolf, instead of getting spooked, says, ‘Oh there are people over here too,’ and went over to Troy’s tent and proceeded to be curious. 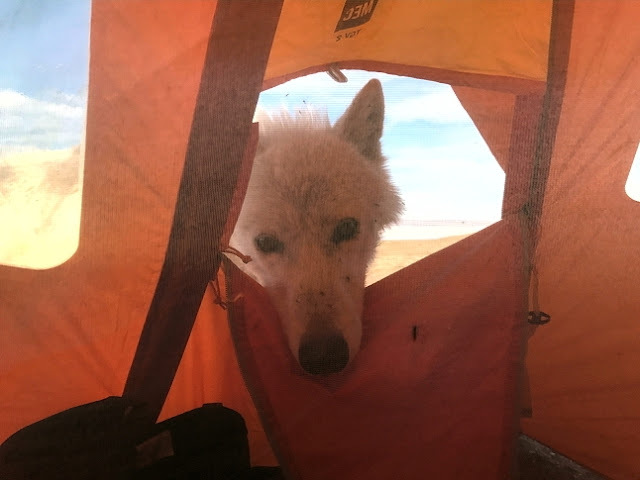 Responses to "A curious Arctic wolf visits Ottawa biologist in his tent"